As a part of its action against black money post demonetisation, the department had also selected 20,000 cases of returns filed post the note ban for a detailed scrutiny. NEW DELHI: The Income Tax (IT) department will launch full-fledged assessment proceedings from January next year against those assessees who have deposited "suspicious" amounts of money in banks post-demonetisation, but have not filed their income tax returns (ITRs) till now. The Central Board of Direct Taxes (CBDT), which frames policies for the department, has asked the taxman to finish the process of serving notices to such entities by December 31. "The department will initiate full-fledged assessment proceedings against these assessees from the later part of January, after the replies to the IT notices are received. "The cases, where the replies to the notices have been received, are now being analysed," a senior official said. Those who attempted to show their black income as white and evaded tax would be prosecuted, he added. The action is a part of the Operation Clean Money (OCM), initiated by the department early this year to specifically check black money instances in the wake of demonetisation. The department, on the basis of data analytics and information gathered during the first phase of online verification under the OCM, has prepared a list of about 18 lakh assessees, who had deposited substantial amounts of cash in their bank accounts during the demonetisation period (November 8-December 30, 2016), but are yet to filed the ITRs for assessment year 2017-18. The CBDT, as part of the standard operating procedures (SOPs) framed to run this operation, has asked the taxman to issue fresh notices to the entities via e-mail or post. The notices will be issued under section 142(1) of the IT Act (inquiry before assessment). "In case the notice could not be served electronically or through the postal authorities, a personal service through the department inspectors or notice-servers should be made," the SOP, accessed by PTI, said. CBDT Chairman Sushil Chandra had recently told reporters that the government had already taken all measures under OCM and the taxman had given enough time to people to file their returns and come out clean. "But, we have found out that even after the last date of filing returns, a large number of people have not filed the same," Chandra had said. The assessees, who replied to these notices, would be examined against the amounts they had deposited during the period of demonetisation, so that the taxman could see whether they had correctly disclosed their income or not, the CBDT chief had said. As a part of its action against black money post demonetisation, the department had also selected 20,000 cases of returns filed post the note ban for a detailed scrutiny by the assessing officer (AO). The IT department had conducted as many as 900 searches between November 9, 2016 and March this year, leading to seizure of assets worth Rs 900 crore, including Rs 636 crore in cash. The searches had also led to the disclosure of Rs 7,961 crore undisclosed income, according to official data. 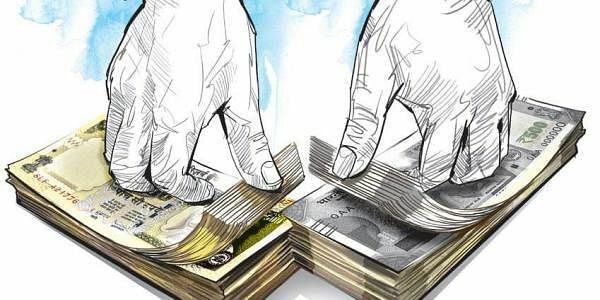 During the same period, the department had conducted 8,239 survey operations, leading to the detection of Rs 6,745 crore of black money, it said. The central government had announced demonetisation on November 8, 2016.